Here is the promised post on my Anna dresses, neither are completely finished but both are beautiful in their own way. 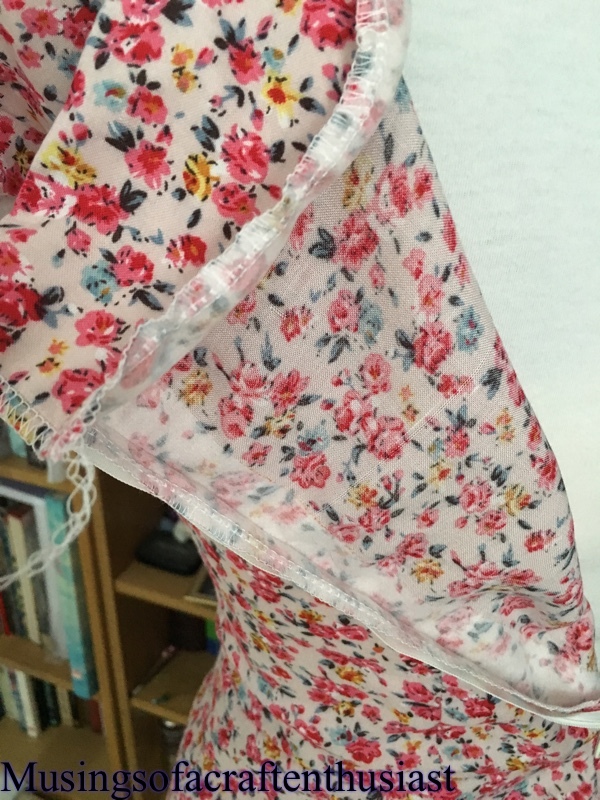 The first one is a viscose (rayon) which is very slippery and after the last time I worked with viscose I swore I would never do so again, but this was cheap and pretty…..
Those by Hand London girls sure draft for some very tall Ladies, I loped 7 inches off the skirt before I even started. 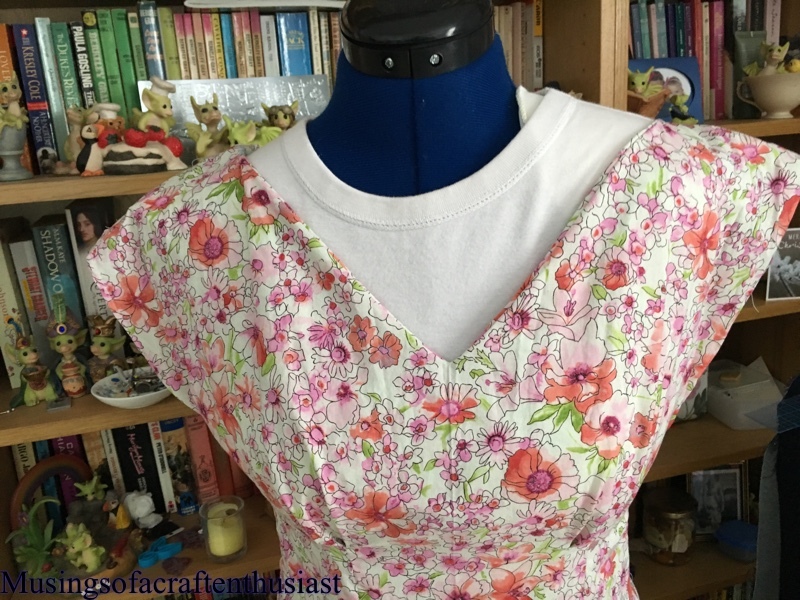 The other changes I made was to do a small bust adjustment and to bring the neckline up an inch, I tend to find that deep V necklines do nothing for me and they gape something terrible. I did French seams on the skirt and overlocked the top mainly because I wan’t 100% on french seaming the underarm. 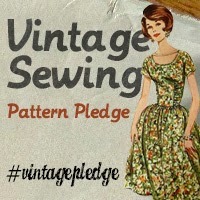 It still needs ironing and hemming, over all I’m quite pleased with it. I will admit though I wimped out on the thigh high split. 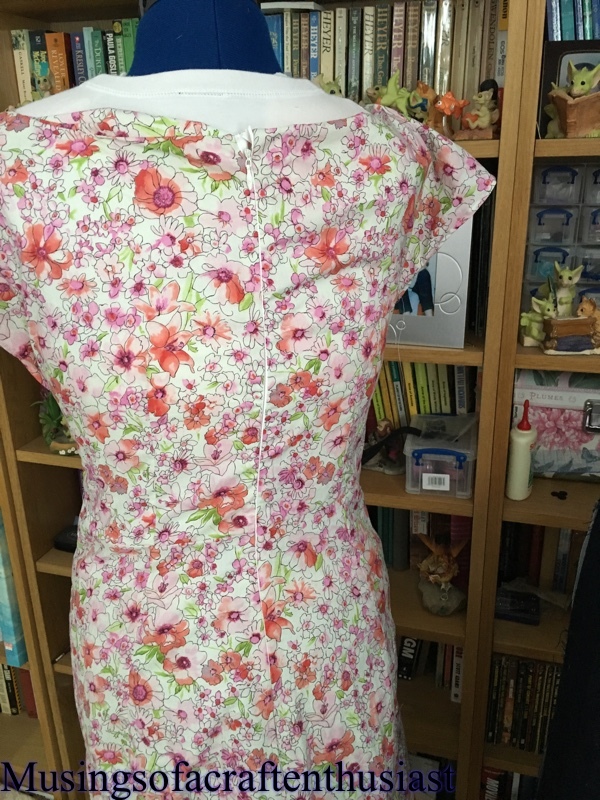 I used a small bit of interfacing where the zip is, not my idea I read it somewhere when I was researching the Anna Dress. The Second Anna is made out of a Robert Kauffman London Calling Lawn fabric, I bought in the Craftsy fabric sale before christmas, It is very nice and light and floaty. here are the full length photos.